Serving the greater Nashville, TN community including Oak Hill, Berry Hill, Green Hills, Sylvan Park, The Nations, Edge Hill, Belmont, 12 South, Wedgewood- Houston, 8th Ave south, Music Row, The Gulch, Melrose, Germantown, Demonbreun, Marathon Village, Elliston Place, Buchanan Art District, Westmeade, West End, Midtown, West Nashville, Bellevue, Kingston Springs, Fairview, East Nashville, Rolling Acres, Eastland, Fivepoint, Shelby Hills, East End, Lockland Springs, Shelby Hills, Porter Heights, Inglewood, Old Hickory, Hermitage, Lakewood, Belle Meade, Forest Hills, Boscobel Heights, Bruton Snuff, Buena Vista, Buena Vista Heights, Buena Vista Jones, Cameron Trimble, Cayce, Centennial Park, Cleveland Park, Cumberland Gardens, Douglas Park, Downtown Nashville, Edgefield, Edgehille, Elizabeth Park, Fish/Meharry, Glencliff, Hadley/Washington, Metro Center, Music Row, Radnor/Sudekum, Vanderbilt, Woodbine and the entire surrounding area. Celebrity Greens Nashville is the Authorized Dealer, Designer and Installer of Synthetic Grass, Artificial Turf and Putting Greens for Nashville and the surrounding community. Celebrity Greens leads the industry in the artificial grass lawn market. We’ve proven ourselves by installing thousands of artificial turf projects throughout North America. We have the experience and expertise to ensure you get a beautiful lawn or putting green that will last years. Our USA-manufactured turf is the highest quality, artificial grass turf available anywhere! 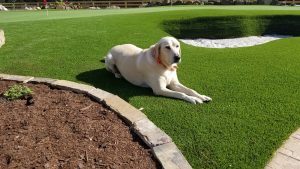 Our synthetic grass turf products are environmentally friendly and completely lead-free and come with environmental benefits that have been well documented throughout the years. Along with the no more mowing or fertilizing, our turf will save you massive amounts of watering and maintenance. In addition to our signature putting greens, we can install a variety of sports surfaces, as well as dog runs and playgrounds. But we really specialize in designing and installing the most advanced sand filled, artificial grass putting greens on the market today. Our artificial golf greens can be installed indoors and outdoors. We offer a multitude of design features including sand traps, water hazards, custom lighting fixtures and many other amenities to excite your golf game. Celebrity Greens Nashville offers complete landscaping services, and we are proud to offer products that require very low-maintenance while remaining lush and green through every season and all weather conditions. Contact us today at 1-888-507-7960 for a free custom golf or synthetic turf consultation!